Ballygeegan is a townland southwest of Killinchy in County Down. 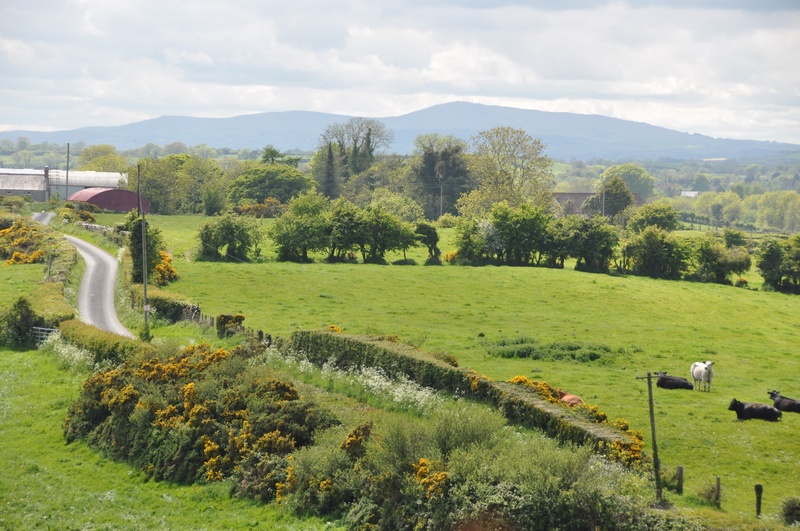 The A22 road connecting Comber and Downpatrick runs through Ballygeegan, but it’s easy to get away from the main road into some peaceful countryside. You can even get a view of the Mourne Mountains to the south. 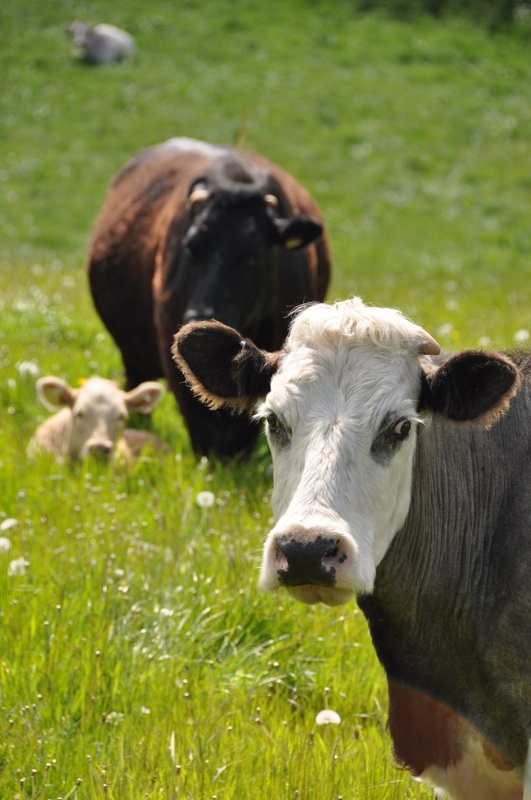 There were more cattle than people on the day I took these photos. 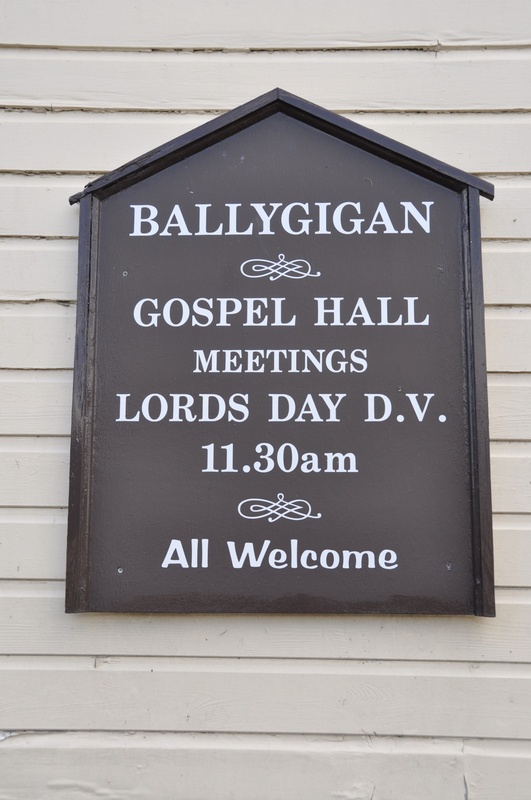 Back on the main road, you can see another spelling of the townland name at this wooden church hall. 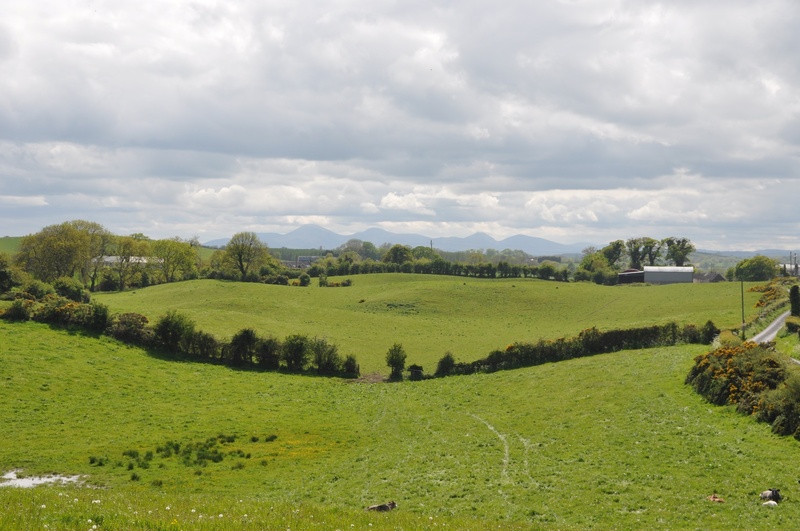 According to the PLACENAMESNI website, the name Ballygeegan probably comes from the Irish Baile Díogáin meaning “townland of the little ditch”. 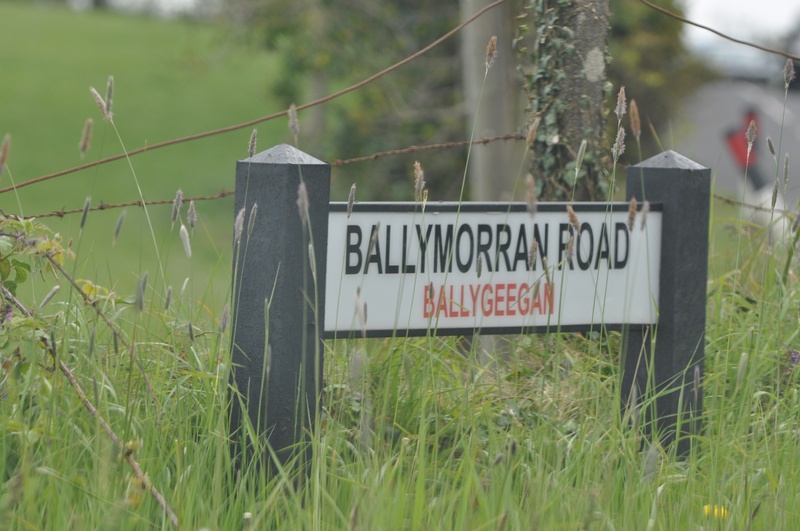 The Ballymorran Road winds through several townlands – I’ve already photographed it in Ballymorran and Ballymacarron townlands. Which other townlands border Ballygeegan? To the north, Killinchy and Carrigullian. To the east, Tullycore, Ballybredagh and Tullymore. To the south, Clay, Ballymacarron, and a sliver of Toy and Kirkland. To the west, Ballymacreelly and Ballygoskin. And finally, click here to see a map of Ballygeegan and to read about the townland’s name on my usual source, the PLACENAMESNI.ORG.